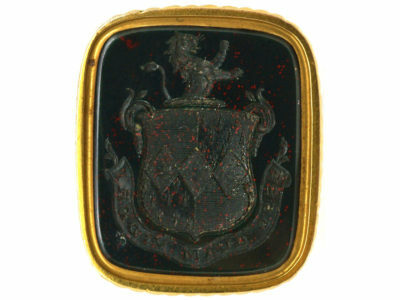 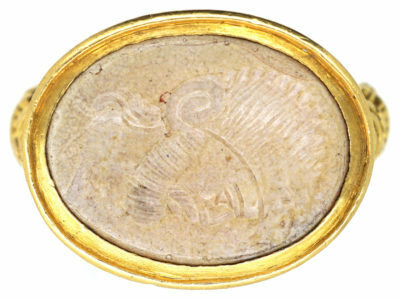 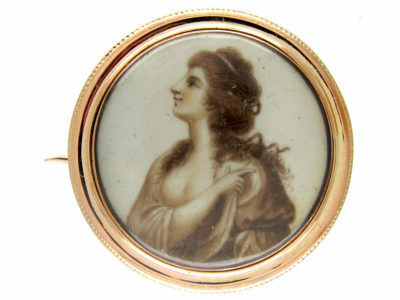 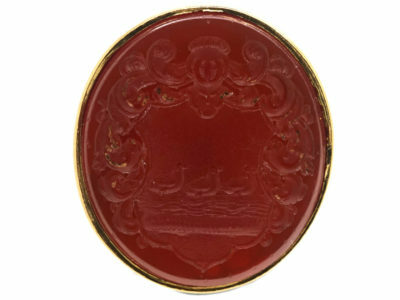 A 9ct gold cased seal that was made circa 1800-1820. 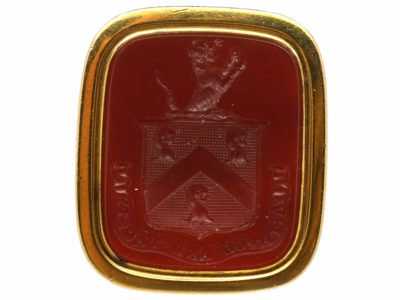 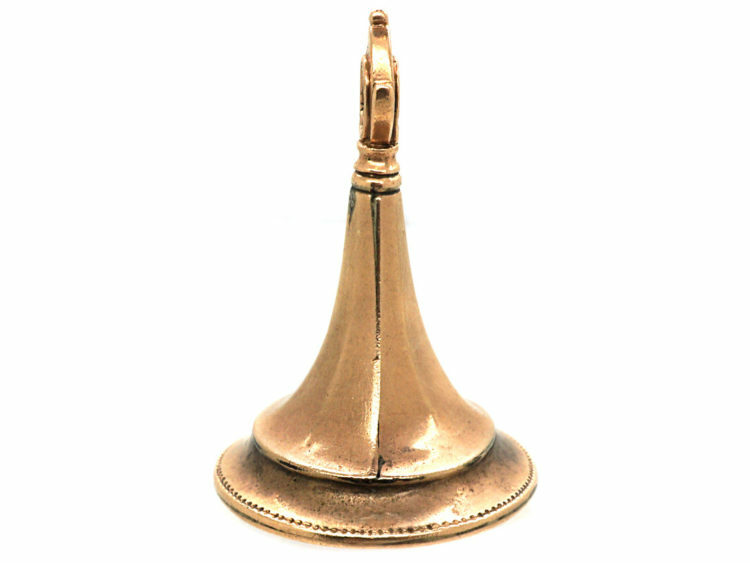 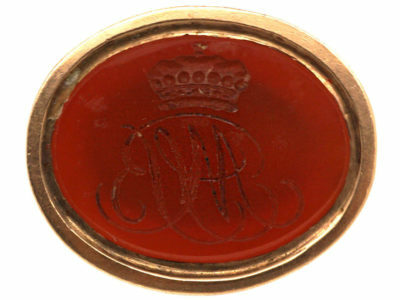 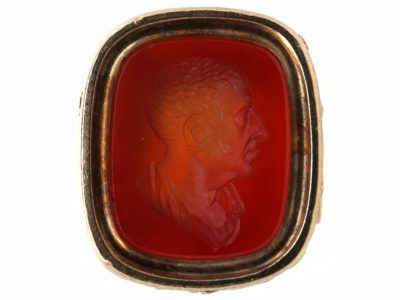 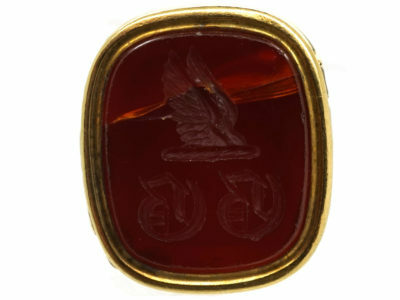 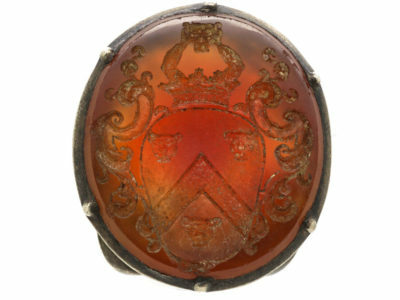 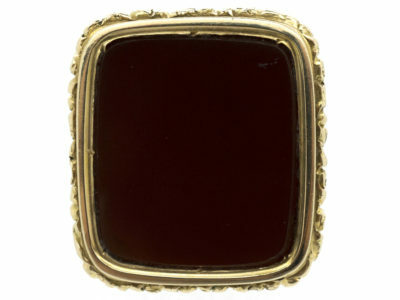 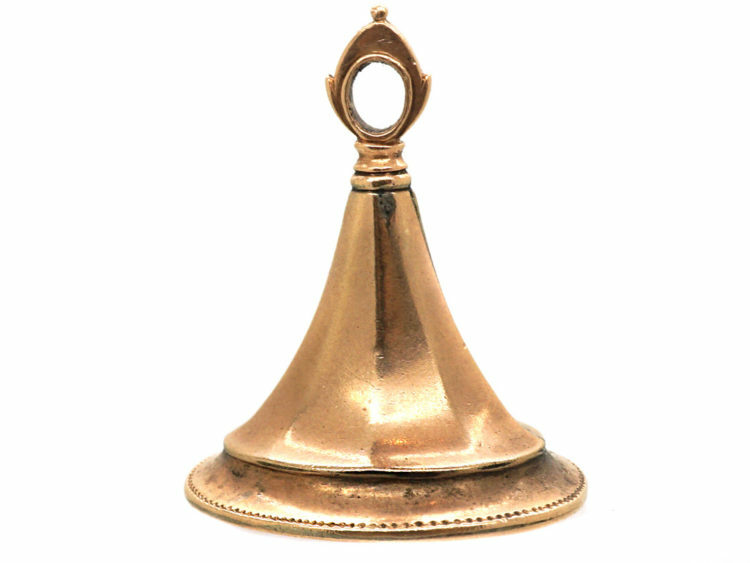 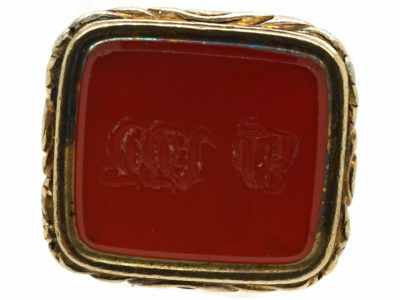 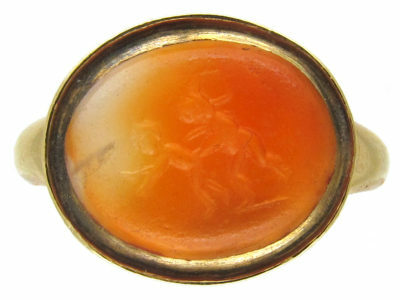 It has been set with a carnelian that has been engraved with a crown with a monogram beneath. 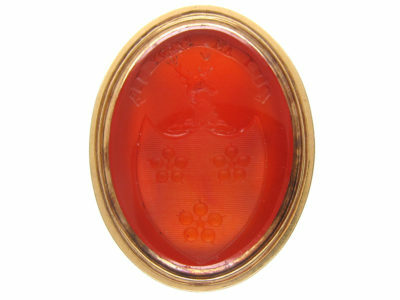 These seals are fun to wear either on their own on a chain or with other pieces.